Today we have added a new mode to channels that will allow placing orders through the order from stock function even when you have no stock. This mode is intended for use with telephone order and wholesale channels. Previously you could only place orders using the order from stock function if either you had real stock or you added pseudo stock to the channel. 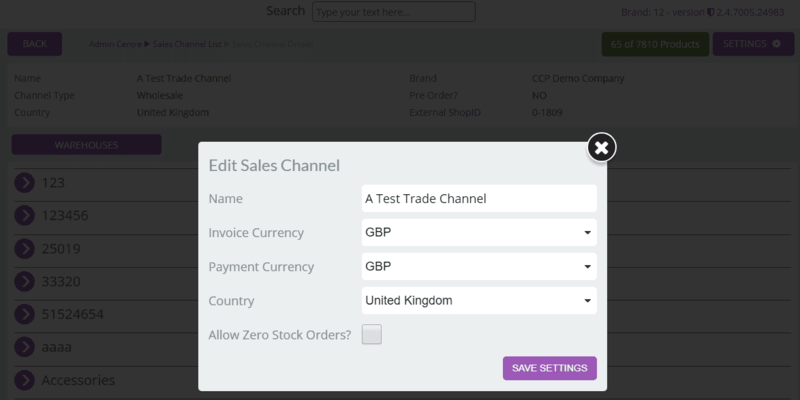 To make this process easier you can now enable our new mode called “Allow Zero Stock Orders” To enable click the box on the edit sales channel screen. Whilst pseudo stock still is useful for limiting the number of sales that can take place on a channel for stock you don’t actually hold, you may prefer to use this mode if you are confident you can obtain the stock from your suppliers or for example if you manufacture to order. All orders placed through the order from stock screen will automatically allocate stock if available or otherwise will turn red in your dispatch queue and await stock allocation.